Empower your development. Build better applications now. Across all our software products and services, our focus is on helping our customers achieve their goals. Our key principles – thoroughly understanding our customers' business objectives, maintaining a strong emphasis on quality, and adhering to the highest ethical standards serve as the foundation for everything we do. Prepare yourself for compatibility! 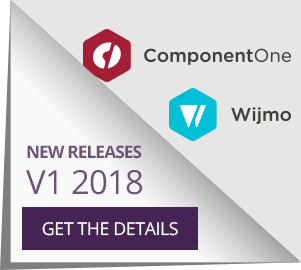 As Microsoft and Visual Studio partners, we're prepared months in advance to deliver compatibility on new operating systems, new browsers, and new IDEs. Go beyond! With GrapeCity's intuitive, flexible APIs built for sheer extensibility--in addition to hundreds of out-of-the-box features--you'll surpass the limits of what you thought you could do. With 30 years of experience in components, our teams will make sure your onboarding is a breeze... and that our roadmap aligns with yours. Focus on the big picture. With GrapeCity's tools, you and your team can focus on developing great business logic and solving the problems worth solving. All of our components--from reports to controls to the APIs--are built for speed and size. The modular dlls mean you can add only what you need, so GrapeCity solutions will never bloat your apps. You'll get the components you need and the samples you crave. You'll find everything from report templates to quick solutions to common problems in our samples explorers. Add power to your web apps with server-side Web API for images, Excel, barcodes, PDF, and more. Design and develop first-class enterprise apps with a flexible, dependency-free Excel-like UI. Customer satisfaction is our ultimate goal. See what GrapeCity customers have to say about our development toolkits, APIs and reporting solutions. Read our case studies and testimonials to see how customers are using GrapeCity products. 75% of Fortune 500 companies use our products including software developers, software architects, IT professionals and developers. Complete your enterprise development toolkit with our first-class components, APIs, and solutions. Worldwide distribution in 10 languages and over 20 currencies through ComponentSource, our master distributor. Visual Studio Magazine readers have chosen GrapeCity products as winners in several categories, including Reporting, Analysis, & Visualization and Mobile Development Tools & Frameworks. GrapeCity has consistently been included in SD Times' 100 listing for challenging the accepted methods of creating software with visionary ideas, creative solutions, and best-of-breed tools. Top ComponentSource Publisher and Top Product awards since 2006 herald GrapeCity's products among the best-selling in the world for 12 years and counting.